Used in motors & generators: As slot insulation / Closure, phase insulation / overhang, interphase insulation. 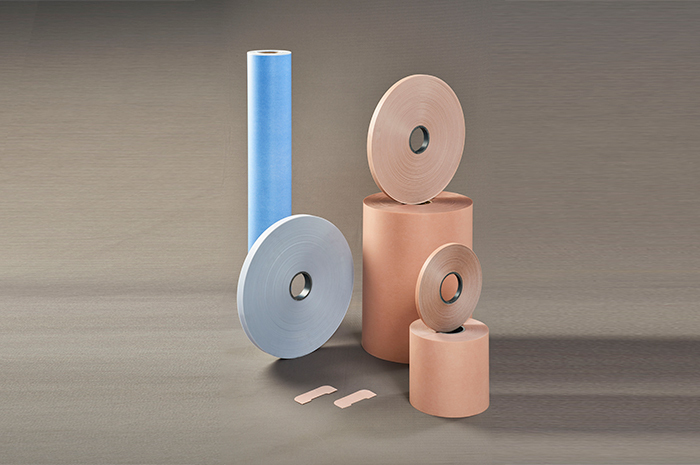 In Dry Type Transformers: As layer insulation for coils For choke coils, conductor & shaped components. Polycom's GARFLEECE (IMPG) laminates are composites of polyester film with resin impregnated non-woven polyester fleece on either side. These are glued together with superior adhesive : The polyester non-woven fleece with fully cures impregnated resin protects the polyester film at high temperatures against oxidation, hydrolysis & mechanical damages. High electrical & mechanical strength. Protects polyester film at high temperatures. Resistance to other impregnation agent. Quality norms are top priority at Polycom Associates to ensure customer's delite with both Product Quality & Service. Regular on line checks & control of tensile strength, elongation B.D.V & bond strength contiable to consistency of quality. Rolls of 910 MM. Tapes of width 8 MM above. Composites produced in various thicknesses ranging from 0.13 mm to 0.45 mm. We also supply fabricated components.